Peter W Beck Palladium is 95% pure. It is slightly warmer, and greyish white in colour compared to other white metals. It resembles Platinum quite closely. Palladium is strong, durable and its whiteness will last forever. 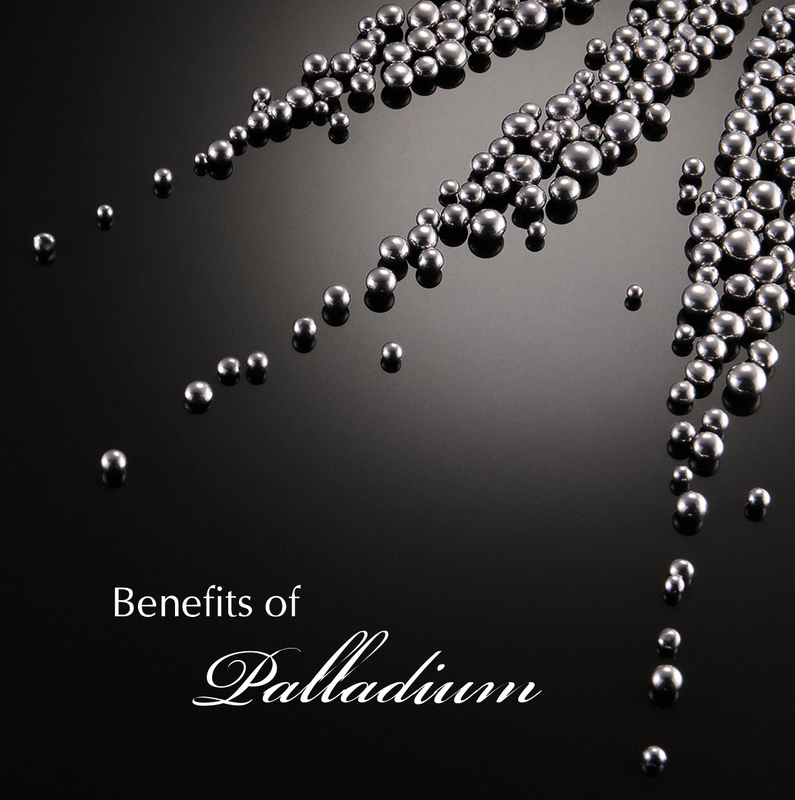 Unlike White Gold, it will not require any maintenance as there is no need for Rhodium Plating. It is half the density of Platinum, hence it is slightly softer, but a very similar metal for jewellers to work with. Great for setting diamonds as it holds them securely in place. Not as expensive as Platinum, and is steadily increasing in popularity. Due to its rich purity, it is hypoallergenic. A great option for those with sensitive skin.